Robert Zimmerman (Bob Dylan) on stage with the Golden Chords. Image courtesy Monte Edwardson and Leroy Hoikkala. When discussing the history of Minnesota rock music, Bob Dylan tends to rate barely more than a footnote because he was living in New York and playing folk music when such seminal groups as The Trashmen, Accents, Avanties, Gestures, Castaways, Chancellors and Underbeats were emerging as the state’s most popular bands. If any of those musicians were listening to Dylan’s early folk albums on Columbia, it did not show in their set lists. Perhaps only guitarist David Rivkin of the Chancellors even remembers that Dylan had briefly attended the University of Minnesota during the 1959–60 school year. Rivkin had occasionally gone to the Ten O’Clock Scholar at Five Corners to see Dylan perform, accompanying himself on acoustic guitar and harmonica. Rivkin had begun his own performing career as a folk singer, too, but traded in his acoustic guitar when he became jealous of the electric guitar owned by his cousin. at the Kato Ballroom in Mankato, Minnesota. Dylan had played with two rock bands while in high school at Hibbing: the Satintones and the Golden Chords. 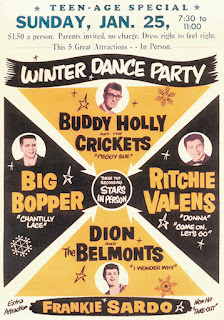 During the summer after his senior year, he briefly played piano in Bobby Vee’s band in Fargo, North Dakota. But by the time he enrolled at the University of Minnesota that fall, he had traded his electric guitar for a Gibson acoustic and began learning traditional folk songs by Odetta and Woody Guthrie. 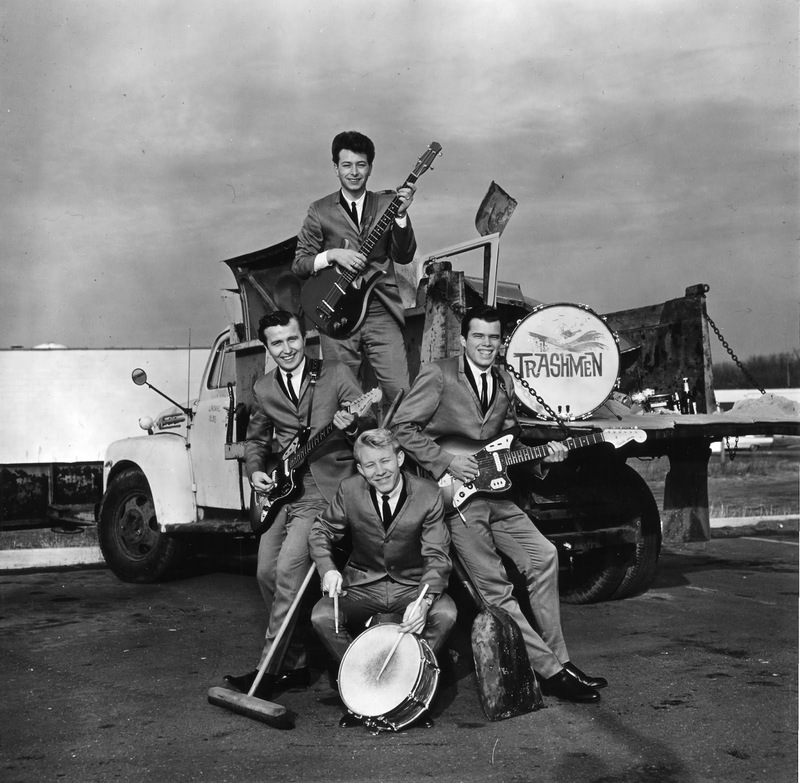 Promotional photo of The Trashmen. Image courtesy Denny Johnson of minniepaulmusic.com. From there, the two Minnesota-bred acts headed in opposite directions. Stymied by the chart dominance of the freshly arrived Beatles, and by a lack of direction on the part of their management, The Trashmen were unable to sustain the momentum of “Surfin’ Bird.” Dylan was also impacted by the Beatles, but in a significantly different way. Scarcely a year after the Beatles arrived on U.S. shores, Dylan had returned to playing electric guitar and rock ‘n’ roll – albeit a very different style of rock ‘n’ roll than the rockabilly tunes he’d played in high school. In 1964 he’d begun writing highly impressionist lyrics, loaded with symbolism and free-association cultural references, exemplified by songs like “Mr. Tambourine Man,” “Chimes of Freedom,” and “My Back Pages.” Though these songs were recorded on acoustic guitar, they proved to be sturdy and rhythmic enough to later be re-cast as rock songs by the Byrds, a Los Angeles group whose signature sound was Roger McGuinn’s electric 12-string guitar. Other folkies were turning to electric instruments in this post-Beatles environment – including Simon & Garfunkel, John Sebastian, and John Phillips – but when Dylan plugged in his Fender Stratocaster at the Newport Folk Festival in the summer of 1965, it sent shock waves through the pop music world. Now, you not only listened to Dylan’s songs for their deep lyrical meaning, but you could dance to them, too. 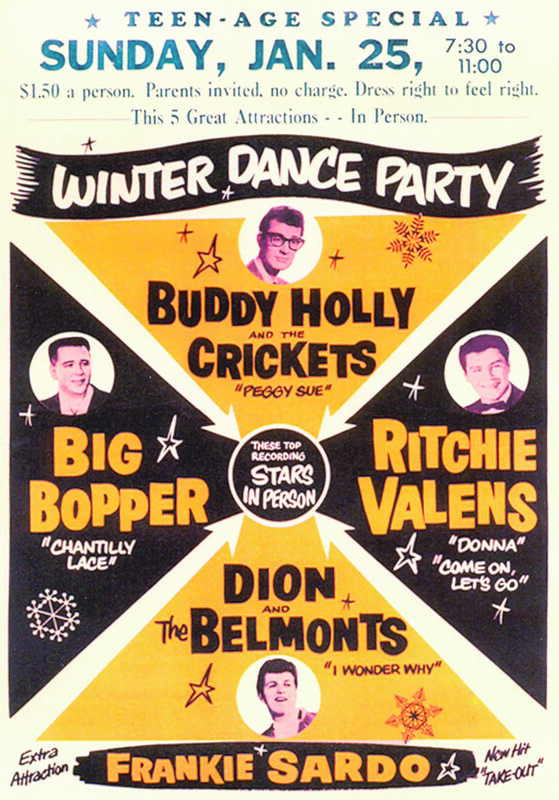 A crowd of 20,000 at WDGY's 1964 Winter Carnival Spectacular. Courtesy of Minnesota Historical Society. The folk establishment was outraged. Pete Seeger, the father figure of folk singers everywhere, allegedly threatened to chop Dylan’s power cord with an ax at Newport. Yet his summer 1965 single “Like a Rolling Stone” reached No. 2 on the Billboard charts, making him a bona fide rock star, and he followed that with the No. 7 hit “Positively 4th Street,” a nasty attack on an unnamed former friend. Folk purists booed Dylan at every stop of his subsequent tour – including his first official return to Minneapolis on November 5, 1965. His concert at the Minneapolis Auditorium attracted 9,000 people and received the expected mixed reviews. As was his custom at the time, Dylan pleased the folk lovers by playing the first half of the show on acoustic guitar, and infuriated them by playing the second half on electric guitar, backed by future members of The Band, guitarist Robbie Robertson and drummer Levon Helm. The Minnesota rock bands that had been oblivious to Dylan’s early career struggles were now scrambling to adapt to the changes he had made to the musical landscape. Novelty songs wouldn’t cut it anymore. Kids were more interested in listening to music than dancing. Styles of hair, dress, speech, and thought were undergoing rapid transformations. The Bird had once been the word; now many words – often poetically inscrutable – were necessary to gain attention. The new bands emerging from Minnesota had names like the Bedlam Four, the Nickel Revolution, and Seraphic Street Sounds. The Stillroven recorded the cryptic “Little Picture Playhouse”; T.C. 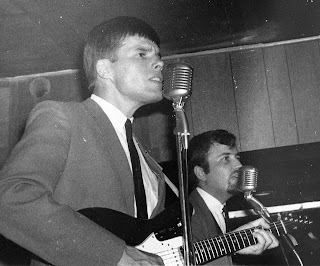 Atlantic had a hit with the moody “Faces”; even The Castaways released the psychedelic “Lavender Popcorn.” Meanwhile, Minnesota’s original rock ‘n’ roll standard bearers, The Trashmen, grew weary of the hipper-than-thou scene and retired in 1967. Typical for Dylan, he soon veered away from the stylistic changes he’d wrought, secluding himself for two years at his home in Woodstock, New York, before finally emerging with a new batch of stripped-down, acoustic-based songs replete with biblical allegories. From there, he’d go to Nashville to make a country album. By then, however, his influence on the pop music of the 1960s – both in his home state and around the globe – was firmly established. His fellow Minnesotans were forced to follow his lead throughout the second half of the decade, even as he seemed to pay his boyhood home little or no attention. Dylan performed publicly in Minnesota for the first time in 13 years on Oct. 31, 1978, at the St. Paul Civic Center. He has played in the Twin Cities and Duluth many times since then. He also attempted to re-connect with his fellow Minnesota rockers. Rick Shefchik spent almost thirty years in daily journalism, mostly as a critic, reporter, and columnist for the St. Paul Pioneer Press. 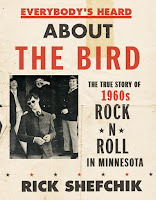 He is the author of Everybody's Heard about the Bird: The True Story of 1960s Rock 'n' Roll in Minnesota and From Fields to Fairways: Classic Golf Clubs of Minnesota. He’s a novelist and author of three works of nonfiction and has been in several working bands as a guitarist and singer. 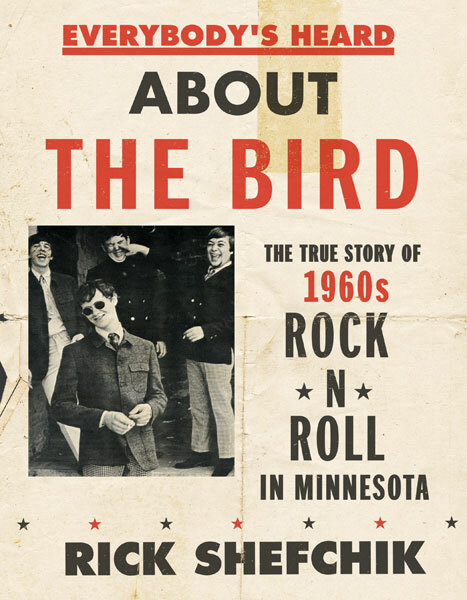 "Engrossing and exhaustive, Everybody’s Heard about the Bird is an invaluable pop history document that chronicles the nascent Minneapolis recording and music industry and early rock-and-roll stew. All in all, a labor of love that feels both fresh and long overdue." "Shefchik offers a brisk, light, and lively overview of the arrival of rock in the Upper Midwest and the local bands that brought it to life. Incredibly researched. Totally cool! Awesome!" Remembering the struggles and achievements of Māori filmmaker Barry Barclay. leaving them as free as possible from the paraphernalia of filmmaking. It has been more than 25 years since the acclaimed Māori filmmaker Barry Barclay’s book Our Own Image was first published. So what has since happened in Māori filmmaking? Quite a lot, I would argue, but with some reservations. The handful of films released over the last five years with stories written and driven by Māori includes Boy (2010), Mt Zion (2013), The Pā Boys (2014), and the recently released Born to Dance (2015). It is arguable as to what constitutes a ‘Māori film’, and perhaps not always a useful exercise but, as Barry said, Māori are forced to do this for funding purposes within a white system. It also makes visible Māori access or lack of access to feature film funding in Aotearoa New Zealand. Our early Māori dramatic feature filmmakers, in particular Barry, Merata Mita, and Don Selwyn, paved the way for future generations. Today, many Māori filmmakers acknowledge these pioneers and build on their vision; The Pā Boys has a dedication to the memory of Barry, Merata, and scriptwriter Graeme Tetley. Barry laid a foundation and fought for a cinematic space where Māori filmmakers could present Māori stories. He argued that Māori needed and had a right to opportunities to speak to a Māori audience first, without explanation, and others could listen in. Barry’s notion of talking in, which centres the indigenous voice, remains a useful theoretical tool. Barry argued that Te Tiriti o Waitangi (Treaty of Waitangi), an agreement between iwi and the Crown, promised equity, extending this to the right of Māori to tell their own stories and access to funding to enable this. The historical pattern of underfunding Māori productions led Barry to take action and seek solutions. His unwavering determination and unspoken advocacy was a bold move for a filmmaker reliant on funding from these institutions. I remember attending the 2007 formal launch of Te Paepae Ataata, an initiative supported by the New Zealand Film Commission that was set up to nurture and fund the development of Māori feature films. Te Paepae Ataata came about through tireless advocacy by Māori involved in media production, including Barry. He stood up that evening with optimism and good faith, announcing that “the house is now restored” and he would not pursue WAI 748, a Te Tiriti o Waitangi claim, lodged nine years earlier. The claim charged the New Zealand Film Commission (the major funder of films in Aotearoa New Zealand) with not meeting its obligations under the Treaty. The Pā Boys was the first feature film developed with Te Paepae Ataata support; however, this fund no longer exists. There appear to be no Māori specific funding provisions; instead Māori may apply alongside Pacific filmmakers to the New Zealand Film Commission’s He Ara – Māori and Pasifika Pathways scheme. Sadly, the house is in need of restoration. Ngaruawahia, in 1972. Image: Pacific Films. Returning to Our Own Image, how has this early conversation progressed and uplifted Māori filmmaking? Barry’s book provides an important record and reminder of the struggles and achievements he and others faced. Barry was innovative, pushing boundaries and challenging the status quo. He established ways of working grounded in Māori worldviews and concepts. His example provided legitimation and support for Māori filmmakers working or wanting to work in similar ways and offering a path for future generations of filmmakers. His transformational practices were conceived during the making of the Tangata Whenua (1974) television series and expanded and refined during the production of his first dramatic feature film, Ngati (1987). He advocated for a sustainable Māori cinema and workforce leading him to train and employ Māori on Ngati. 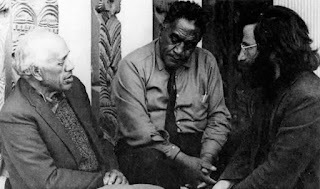 Barry was very aware of wider connections and responsibilities not only to Māori but to indigenous people globally. Our Own Image plants the seeds of theoretical thinking that Barry expanded on throughout his life. His notion of Fourth Cinema is the result of a strategic creation of an indigenous cinematic space where none previously existed. It was apparent that Barry loved to engage with ideas and could immediately see the resonance between Fourth Cinema and Kaupapa Māori film theory, pointing to a shared language and understanding. Barry was always looking to create that safe and supported space for Māori cinematic voices. Barry’s contributions reach beyond filmmaking. Generous with his ideas, we have learned much from him, and the re-release of Our Own Image will reacquaint some with his legacy and introduce him to new audiences. Our Own Image, one of many gifts Barry left, is a reminder to reflect on both struggles and achievements, continuing to build on the legacies left by Barry and those of his generation who envisaged a brighter future. Angela Moewaka Barnes is a Māori social scientist based at Te Ropu Whariki, Massey University, Auckland, Aotearoa New Zealand. She has a track record of research using kaupapa Māori methods on a range of topics including media. 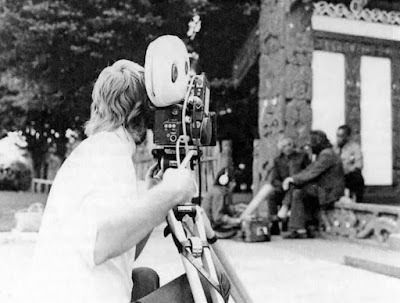 Her doctoral thesis, Ngā Kai Para i te Kahikātoa: Māori Filmmaking, Forging a Path (2011), examined Māori dramatic feature film and filmmaking, in particular the work of Barry Barclay, Merata Mita, and Don Selwyn, alongside the development of a Kaupapa Māori Film theoretical framework. Angela’s field of research interests includes media, Kaupapa Māori, identity, health, and wellbeing. 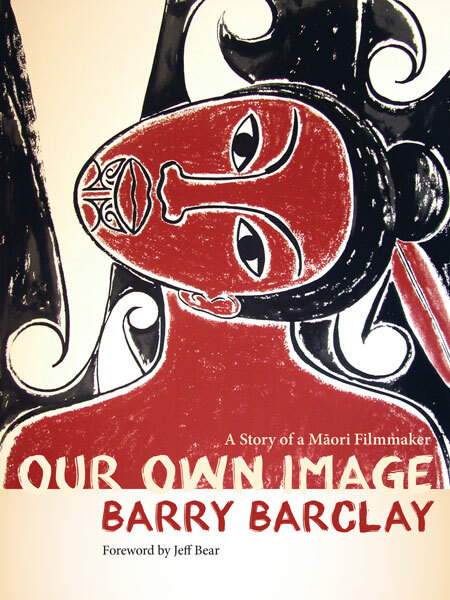 Barry Barclay (Ngāti Apa) (1944–2008), author of Our Own Image, is an award-winning New Zealand filmmaker, writer, and philosopher. He coined the term Fourth Cinema and has been honored with a Laureate Award from the Arts Foundation of New Zealand and the New Zealand Order of Merit. "In Our Own Image, Barry Barclay produced a manifesto for indigenous cinema. Both intellectual exhortation and community document, it is driven by a ferocious critical intelligence and a commitment to a practice and understanding of cultural representation based on principles of justice and self-determination. It deserves to be seen as a major contribution to global film studies." 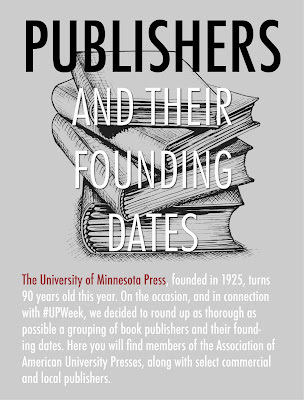 On Monday, we kicked off University Press Week with a tremendous blurb from Nona Willis Aronowitz about the value of working with a university press. Today, we are pleased to wrap up #UPWeek with not one, but THREE more blurbs from beloved authors who value our particular model of publishing. 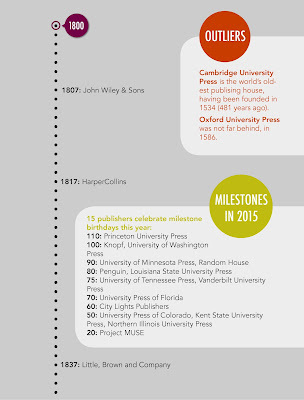 Working and publishing with a university press means I can count on the editors and the whole team. They are the supporting quality control who tell when something works and when it doesn’t, and pushing my writing and the arguments to improve. The best editor encourages you to be provocative and to experiment but to always remain rigorous. It’s this level of engagement that makes our work as writers and academics motivating. —JUSSI PARIKKA, professor in technological culture and aesthetics at Winchester School of Art, University of Southampton. 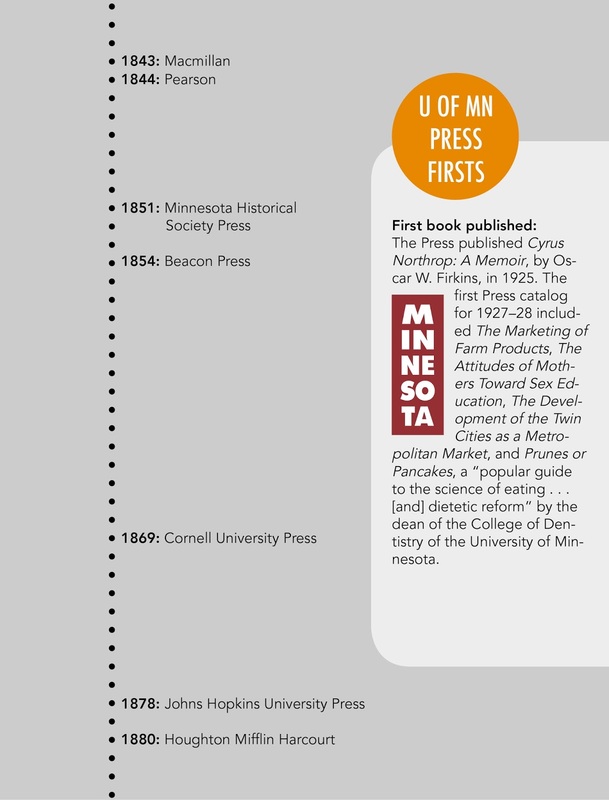 Author, with Minnesota, of A Geology of Media, The Anthrobscene, and Insect Media. I regularly felt like my editor "got" me. That means a lot of things. One, he knew where my book fit in my field as well as other fields, and really encouraged me to make my book accessible to a variety of audiences. 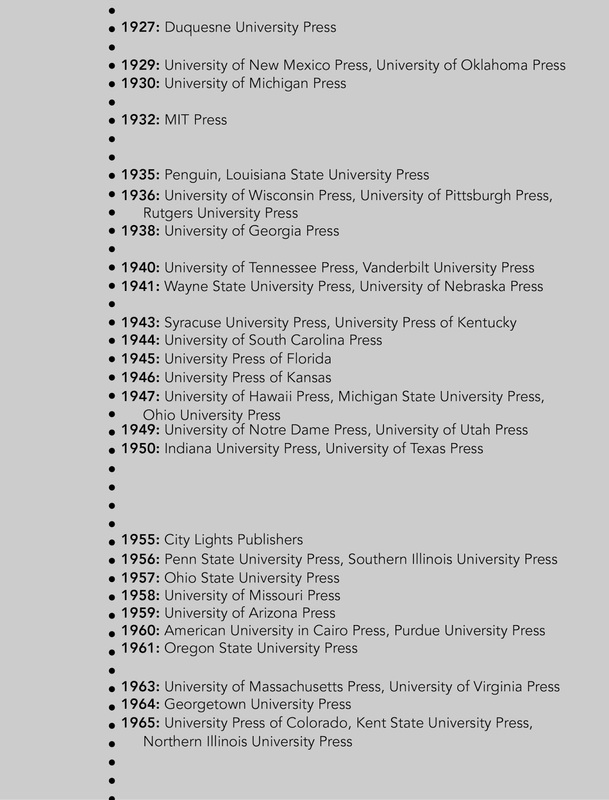 My editor also understood that my publication process needed to fit into a tenure clock and what that meant in terms of timelines for me. I also felt like I always knew what was going on in the book production process and what was expected of me. I never felt in the dark with UMP, and am positive that the success of my book is largely attributed to the care they took in producing it. That care and all of these particular benefits, I felt, came directly from dealing with a nonprofit university press. —ADRIENNE SHAW, assistant professor of media studies and production at Temple University and author of Gaming at the Edge. 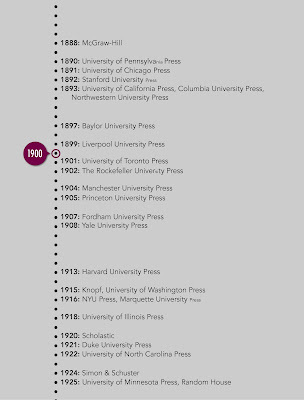 University presses still value quality over quantity in the publishing of books, and while they may move a work to completion more slowly, university presses still care for the details of language and layout. 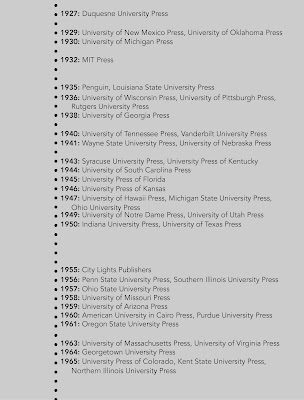 University presses also take on works that commercial publishing houses would never touch, book projects whose importance and influence outweighs the relatively small readership they might receive. These presses are truly a national treasure. —THOMAS FISHER, director of the Metropolitan Design Center at University of Minnesota. Author of Designing Our Way to a Better World, The Invisible Element of Place, and Salmela Architect. 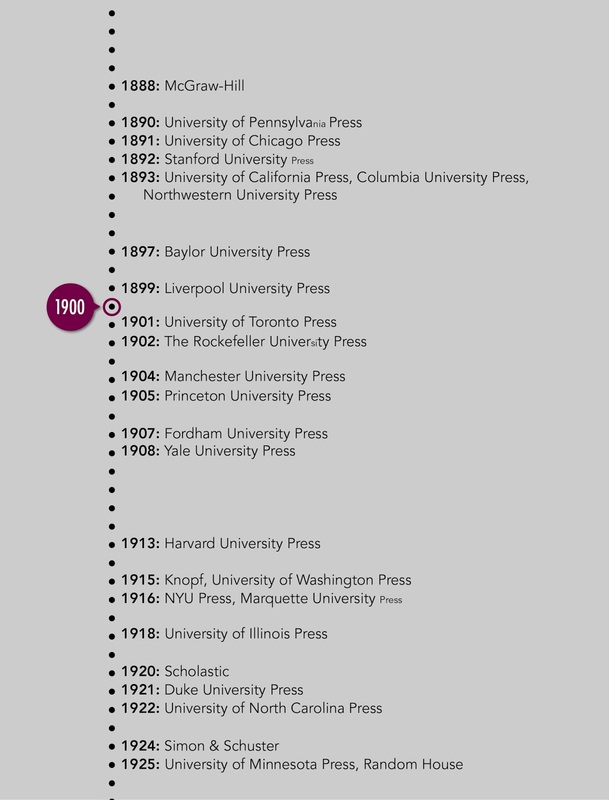 In the wrapping up of #UPWeek, a number of presses are publishing content in conversation with authors. The Chicago Blog has a useful roundup of today's posts. In addition, we recommend checking out a video posted earlier this week, "Opening Access: The Reinvention of the Academic Book," featuring, among many esteemed speakers, discussion with Matt Gold about our Manifold Scholarship project. 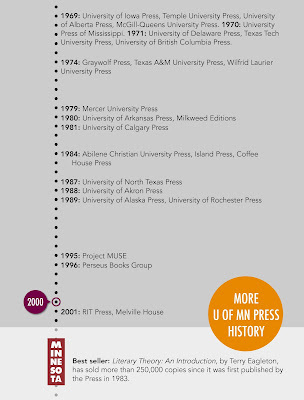 For me, working with a university press was absolutely the right choice. I didn't just feel like one of a million authors at the mercy of a breakneck publishing schedule; I got tons of personal attention and received insightful advice from my editor. The publicists were strategic and inventive. Since I was collecting my mother's anthologies for posterity, I took comfort in the fact that they'd stay in print longer than at a trade publisher. And the copy editing was some of the best I've ever received—a true old-fashioned (and endangered) comb-through that's so much more than proofreading. —NONA WILLIS ARONOWITZ, editor of The Essential Ellen Willis (2014) and Out of the Vinyl Deeps: Ellen Willis on Rock Music (2011). 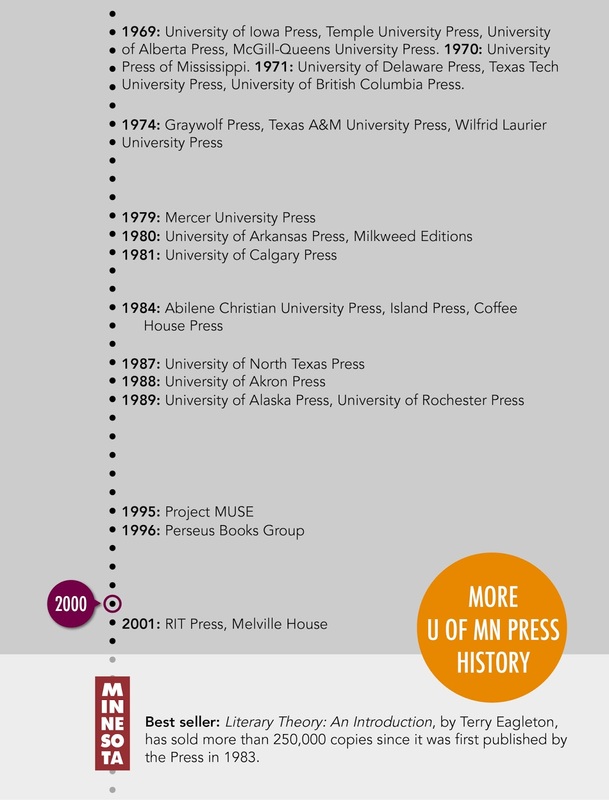 This week is University Press Week, and in honor of the week and all that it celebrates, we've asked our authors to tell us a bit about what they value in working with a university press. We'll post our responses throughout the week. 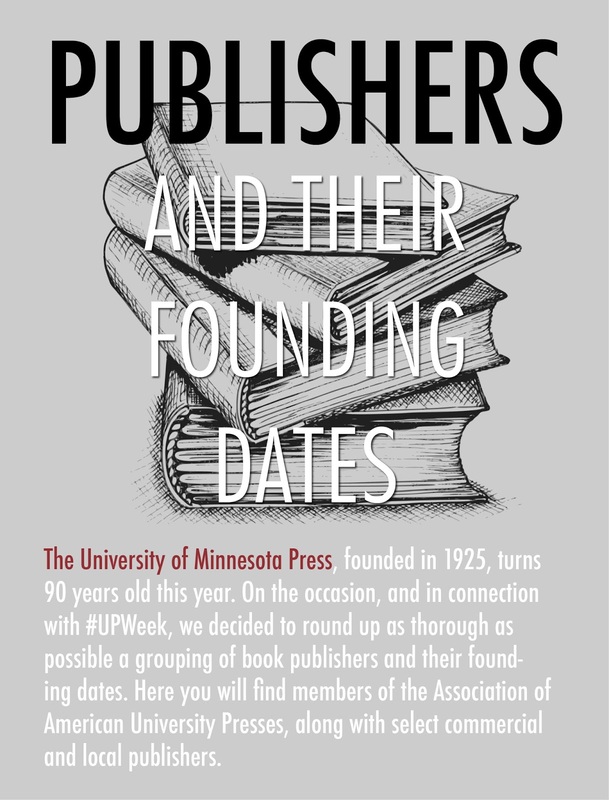 All members of the American Association of University Presses will be posting various exciting content each day this week; University of North Carolina Press has a great roundup of today's posts. On Thursday, we've got something special in store to honor our 90th anniversary this year. Stay tuned! 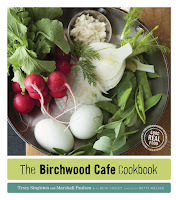 The Birchwood Cafe Cookbook: Good, real, seasonal food inspired by Southern family traditions. cobbler makes a tasty breakfast or dessert dish. See recipe below. Written by Tracy Singleton on the occasion of the publication of The Birchwood Cafe Cookbook: Good Real Food, which features recipes from the restaurant's light-hearted, innovative, sustainably minded menu, divided by eight seasons: Spring, Summer, Scorch, Autumn, Dusk, Frost, Winter, and Thaw. The Birchwood Cafe Cookbook is truly a labor of love—more than 10 years in the making. Chef Marshall Paulsen, writer Beth Dooley, and photographer Mette Nielsen and I have pored through twenty years of Birchwood recipes, selecting those that hold special meaning for us and for our customers. Our goal is to provide recipes that reflect Birchwood Cafe’s philosophy and that can be made easily at home. My journey into local, sustainable food began in my great-grandmother’s home and it continues through the food you’ll find at the Birchwood Cafe today. 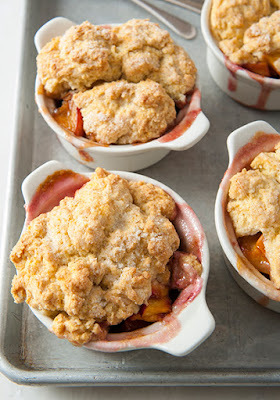 Take, for example, Summer’s Strawberry Rhubarb Cobbler and our Stone Fruit Quinoa Crisp from Scorch. Both spark my earliest food memories of summers spent with my Nanny in a small town in Georgia, miles away from my parents in Minnesota. On those long, lazy summer afternoons in Nanny’s kitchen, I learned how food is intrinsic to culture, especially in the South. You wouldn’t even think of visiting a friend without bringing something delicious and homemade to share. My Nanny had entire shelves fully laden with homemade goods: canned tomatoes sun-ripened in her garden, preserved peaches, fig jam, and buttery pound cakes. She made the most divine “divinity candy,” each melt-in-your-mouth morsel topped with a perfect pecan half, each piece neatly arranged in a pie tin and draped with a dish towel over the top. We’d carry these gifts when “calling” on neighbors. Whenever I taste these homey seasonal desserts from Birchwood’s bakery case, I’m transported right back in time to picking fresh blueberries for cobbler, two in my mouth for every one in the pail, or standing on a stool in front of her large wooden bake table, her strong, capable arms on either side of mine as we rolled the biscuits for our cobbler topping by hand. Of course, back then we didn’t use words like “organic,” “sustainable,” or even “local food system” to describe the food we’d harvest from the back yard and cook up in that sunny kitchen. It was good, real food and really, all that mattered was the warm, food-is-love feeling I basked in. Those vivid childhood memories were reawakened in my mid-20s when I landed a job at Lucia’s Restaurant in Minneapolis. Here, food was sourced from farmers and not factories. Real butter, churned at local dairies, came from real cows—the kind that Nanny would let me eat straight from the cut-glass dish. Lucia respected the farmers and their food as well as those who worked and dined in her restaurant. At Lucia’s, I came to know these farmers, producers, cooks, and diners, and I reconnected with the warmth and love of Nanny’s kitchen as I started eating real food again. Making dishes from scratch and knowing the source of each ingredient, just as my Nanny did, is what we do each day at the Birchwood. Most importantly, Good Real Food connects us to ourselves, to each other, and in turn to our community. Lovely, fresh cornmeal from Riverbend Farm in Delano, Minnesota, adds a distinctly sweet, corny crunch to the topping. Truth be told, this cobbler is as delicious for breakfast as it is for dessert. From The Birchwood Cafe Cookbook, page 48. To make the filling, whisk together the sugar, flour, and cloves in a large bowl, and then stir in the strawberries and the rhubarb. Turn the filling into a deep pie dish or six 2-cup ramekins. To make the topping, stir together the flour, sugar, cornmeal, baking powder, and salt in a large bowl. Using your fingers or a pastry cutter, work in the butter. Slowly work in the buttermilk to make a soft dough. Spoon the topping over the filling and sprinkle it with sugar. Bake the cobbler until the topping is golden brown and the filling is tender, about 25 minutes. Serve warm with ice cream or at room temperature with fresh whipped cream. The Birchwood take on this favorite is crunchy and nutritious. Maple syrup adds flavor while keeping the dessert from being overly sweet. From The Birchwood Cafe Cookbook, page 80. Preheat the oven to 350 degrees. In a medium bowl, mix the fruit with 1/4 cup of the maple syrup. Turn the fruit into a deep 9-inch-square baking dish. In a separate bowl, stir together the oats, quinoa, cinnamon, vanilla, remaining maple syrup, and oil. Distribute the topping over the fruit. Bake until the top is toasty and golden and the fruit is bubbly, about 25 to 30 minutes. Tracy Singleton is co-author, with Marshall Paulsen, of The Birchwood Cafe Cookbook: Good Real Food. "Birchwood is more than a cafe—it is a community. The stories, recipes, and the people who make it all happen are embodied in this beautiful book, bringing the Birchwood experience into our homes and kitchens and onto our tables." "This gracious and simple cafe has a big presence in our lives—Marshall’s tasty food and Tracy’s social activism have led the way for many healthy and sustainable initiatives and have us all thinking about where our food comes from."